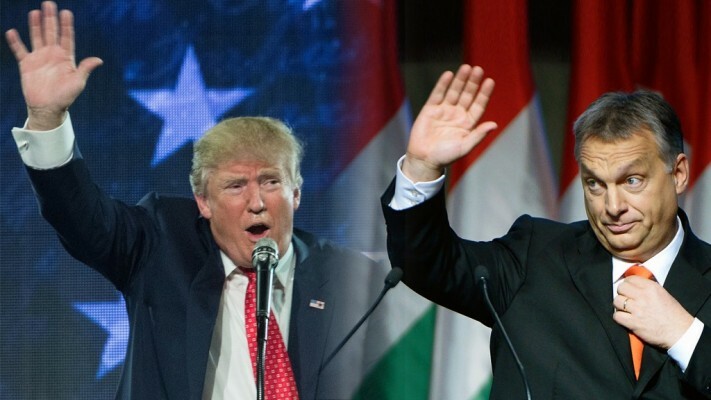 Viktor Orbán is one of the first European leader to secure an invitation to the Trump White House. At least this is what Mr. Orbán says. The Hungarian Prime Minister is known for making grandiose statements and organize publicity stunts. Mr. Orbán is also pro-Putin. He opposes sanctions to Russia and is ready to build a giant Russian financed nuclear power plant. The New Republic called him Vladimir Putin’s little helper in Europe. Hungary today is one of Europe poorest countries and Orbán is frequently criticized for centralizing power while weakening democratic checks and balances. He has stifled the media and built fences on Hungary’s southern borders to stop the flow of migrants. Mr. Orbán also supports the cult of Horthy, Hungary’s pro-Hitler dictator of the last century. In 2009 Mr. Orbán warmly greeted the statue of Albert Wass in the city of Pomáz. Mr. Wass was a convicted WWII criminal who compared Jews to rats in his writings. Today Mr. Orbán is isolated. EU leaders tend to avoid him and Mr. Orbán is desperate to get an invitation to the US to legitimize his shaky regime. In 2010 Mr. Orbán’s Foreign Minister, one time Communist police informant Mr. János Martonyi planted a news story that a meeting between President Obama and PM Orbán was “imminent.” President Obama has never invited Mr. Orbán to Washington. We have doubts about Mr. Orbán’s official invitation to Washington. In a brief statement the President-elect’s staff has confirmed that Mr. Trump has recently spoken with the leaders of Greece, Hungary, Panama, Slovenia and Sweden. They did not mention that Trump has invited Mr. Orbán to the White House. 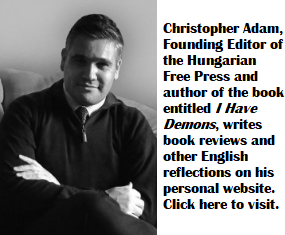 Excellent summary of Orbán – a.k.a. the pocket-rocket’s grandstanding and his desire to serve as the Russian-Chinese Trojan Horse in the White House. Hopefully Trump’s new Secretary of State, the CIA, and his new Security advisors will enlighten the new President, what’s behind Orbán’s affinity fraud. Orban, an antisemite? Enough with that boring remarque, we Christians had more than enough about it. This old criticism doesn’t work anymore, find something more constructive because we don’t care. Donbass is a familiar sock-puppet troll, trying to rake muck. Orban is an unprincipled opportunist, pro- or anti-anything or anyone as it suits his power plays and money grabs. However, for sone real or percieved gains he’s poured so much venom and hatred into the public/political life that labeling him as anti-semite is only to start with – the guy is a sociopath. Donbass is Lovas Pisti. Lovas Pisti is an anti-Semite. Mr. Orbán is royalty, do you even know what Obama brought into the white house? 1. The language and narative supposedly coming out of Trump’s mouth are exactly those of the orban propaganda. 2. Orbán is a habitual liar, (even pathological one, as he often lies without any conceivable purpose). Trump is not opposed to China as a whole or China having allies and firends. Attacking everyone who wants cooperation is bad politics, and this is why the left fails. They want constant conflict with people and pit nations against nations on the basis of their politics and levels of “democracy”. I doubt Trump cares much whether Hungary has good ties with China. Trump’s problem with China is their economic policy, mainly their currency manipulation. However, if China and Hungary, two sovereign and independent countries want to have bilateral relations than the U.S can’t interfere with that. I don’t think he even wants to, because that has nothing to do with U.S economy or policy.